Beautiful home in Fairwinds! Tree lined streets with terrific lawn care provided by the HOA give the community a sense of peace and tranquility. Our popular Hawthorne model offers large rooms and privacy in this triple split bedroom plan. This home features three bedrooms which each has their own bathroom plus den. Enter through the wide, grand foyer past arches and columns into the central living area great room with tray ceiling details. The adjacent dining area is large enough to host your holiday dinners and convenient to the kitchen. 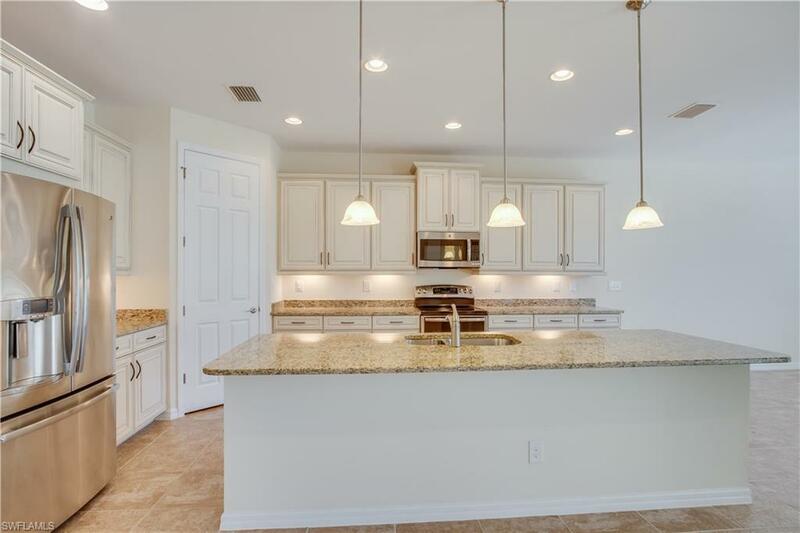 The kitchen is a chef's dream with a large island, perfect for entertaining and tons of storage with large corner pantry. The master suite enjoys a view of the pool and back garden. With nice walk in closet and a grand master bathroom with separate vanities and a large shower, sepaarate tub. the home offers 2 linen closets. The utility room is oversized with another closet. Plus a 3 car garage. Come to see the home stay to enjoy your private screened in spa and pool. Convenient to all Naples and Fort Myers offers.